Vegetables get their flavour from genetic DNA, sugars and minerals produced with the help of the sun and from the nutrients they retain from the soil. Plants extract nutrients from the soil in a nutrient exchange process. That happens when nutrients are attracted from one soil particle to another and from soil microbes that ‘eat’ and release nutrients, typically moving in the moisture contained in the soil. Plant roots intercept that exchange and absorb the nutrients transporting them up into the plant. Clay soils, which are made up of tiny and more plentiful particles, have considerably more nutrient reserves and exchanges between them than do larger particle sand soils. 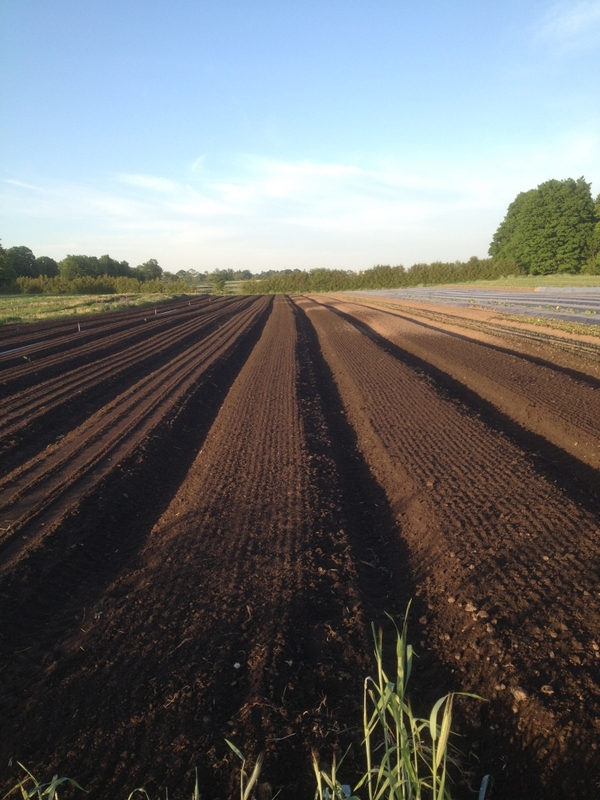 Inherently the soil at Cookstown Greens has a higher percentage of clay than conventional vegetable soils. This is great for the nutrient exchange but makes working and preparing soils harder compared to naturally loose sand soils. Anything that limits the supply of nutrients in the exchange affects the plants ability to absorb nutrients so we need to create soil conditions that have physical features of sandier soils while maintaining the nutrient capacity benefits of clay soils. Organic matter is a catalyst for everything that happens in the soil. Apart from having physical properties that improve soil texture, organic matter has biological properties that increase soil microbial activity which in turn increases nutrient quantity and exchange. Cookstown Greens has great soil texture and structure along with high organic matter and microbial activity, which enables us to grow excellent vegetables in soils that contain moderate levels of macro and micro nutrients. This reduces the need to import large amounts of off farm nutrient supplements that is the norm for conventional farming.